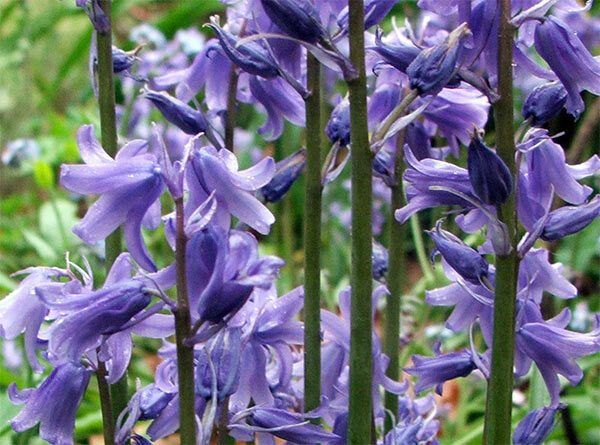 Swathes of bluebells underneath glades of Oak trees - such was one of my early visions for my country garden. But this is not England, and I learnt very early on to celebrate my special place in the gardening world - New Zealand. 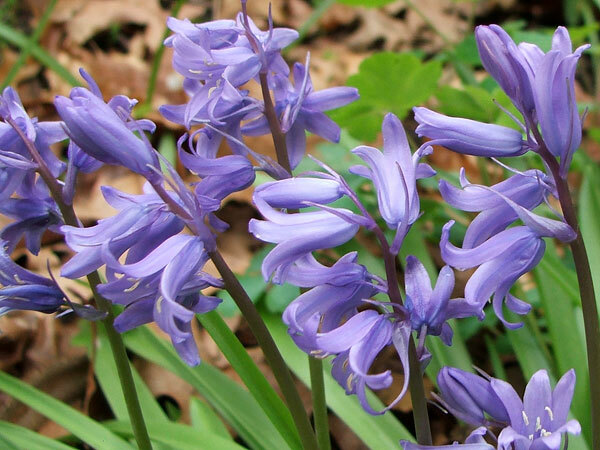 So I have a smallish patch of bluebells in the Hen House Gardens - near some little variegated Corokias and Hebes, two lovely native evergreen shrubs. Add in a nice neighbourly Phormium, and just two scarlet Oak trees, with a winding little path from which to enjoy these spring delights.